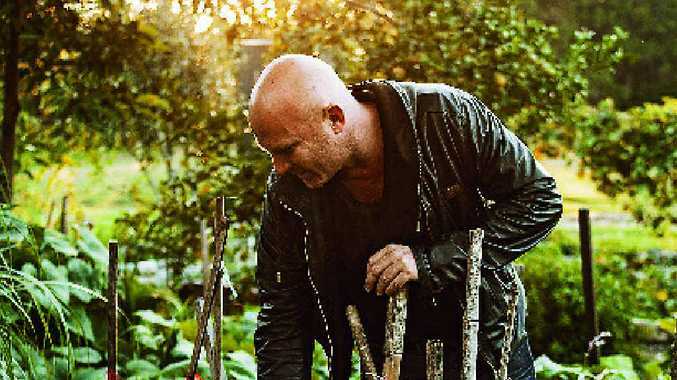 MATT Moran is synonymous with paddock-to-plate cuisine. The man so passionate about produce has a family background in farming that goes back five generations. Before he was crafting edible works of art from the by-products of Darwin pearls or combining Fleurieu Peninsula alpaca with snake beans in a curry, he was well accustomed to the hardship faced by producers. When Matt was age six his father, after selling a property at White Springs that had been in the family for more than a century to buy a nearby property, went broke and lost everything. His family packed up and moved to western Sydney, near Blacktown. But it was life on the sheep and dairy farms where he was raised that instilled a fire in his belly for the integrity of ingredients. "I always say if you know something about the food you are cooking with and you are using, it always tastes that little bit better," Moran told APN. 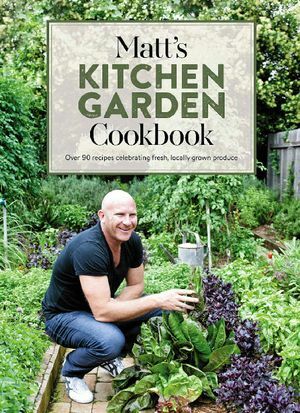 "The book is all about market gardens, which all comes down to seasonality," he explains. "This time of year, spring lamb is the best, mangoes and peaches are all coming into season, asparagus is everywhere. I follow the seasons, rather than my favourite foods. "When asparagus is in season we should be using it and really grateful that we've got it. When it's not in season, we shouldn't be buying it from other countries. What we should be doing is looking forward to when we have it again. We're changing and I'm going to help change it." This is also the reason he's made the 20,000km journey through South Australia and Western Australia to meet the producers for the second season of Paddock to Plate on Foxtel's Lifestyle channel. "My father and I have a property in the Central Tablelands and we farm lamb and beef cattle, so it's pretty important to me for producers to get some credit for what they do, how hard they work and how much they love what they do," he says. "I encourage people to go to farmers' markets and grow as much as they can to feed their families, rather than buying it from a supermarket chain. I think if you know your food's history, it tastes better." His grandfather was also an oyster farmer from Tasmania. "That's where I learned how to eat oysters and open them," he laughs. Not quite as popular for their meat here in Australia are pearls, which are one of the highlights of the Paddock to Plate season finale airing on Wednesday, when Moran explores the red dirt and big skies of the Kimberley. "It's epic. We go up to Cone Bay, we go mustering cattle and go out to Paspaleys on their boat and get some pearls - it is a cracking episode. A lot of our pearl meat goes overseas as it is considered a delicacy over there but obviously the beautiful pearl comes with it and it's amazing watching how they do it, and what an incredible family with a vision." Paspaley harvests about 80% of Australia's pearl meat from its farms between Broome and Darwin. About seven tonnes goes overseas every year, mainly to Japanese and Chinese markets, which pay about $100 per kilogram. It tastes like a cross between a scallop and abalone, he says. 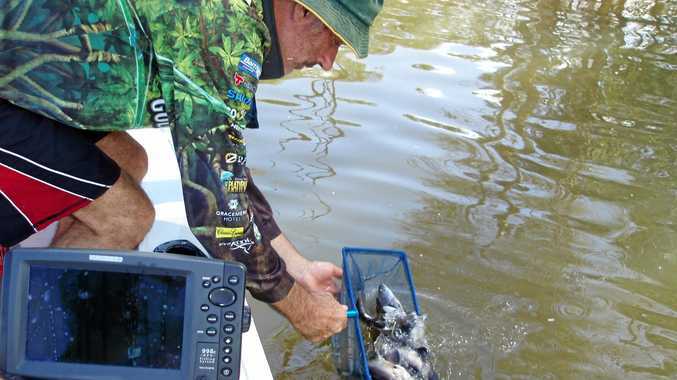 "I use a little bit of pearl meat and do some ceviche and I go up to Cone Bay and cook some barramundi - the best barramundi in the world - and I go mud crabbing." Through Paddock to Plate, Moran has forged close friendships with his suppliers and a greater understanding of the issues producers face. "A lot of them have diversified over the years because they've had to survive. A dairy farmer is not just a dairy farmer now, he produces veal or he makes cheese or he's the guy who fixes the fences next door. It's getting harder and harder for farmers and I really sympathise for them." Moran, born in Tamworth, dropped out of school at 15. By 18, he owned his first business baking cakes and tarts for delicatessens, while working at La Belle Helene in Sydney's Roseville, where he completed his chef's apprenticeship. Moran employs more than 500 people at restaurants including the Opera Bar in Sydney and Riverbar and Kitchen in Brisbane. "Every restaurant is different but it is all about produce. You are always going to do a better job by having good produce," he says. His latest ventures include a second Chiswick at the Art Gallery of New South Wales, which is set to open next week, and plans for a landmark three-storey restaurant at the Barangaroo precinct in Sydney, due to open in March 2016. Moran said it would be like nothing he's ever done. "You look at Singapore now and people are building rooftop gardens on all the big buildings," he says. "I'll grow some herbs - I can't give away too much yet." When asked how he would sum up his career so far, Moran's answer was simply: "Not finished."